UPDATE (11/19/2017): The long semi-transparent specimens in the images might be a sponge spicule. 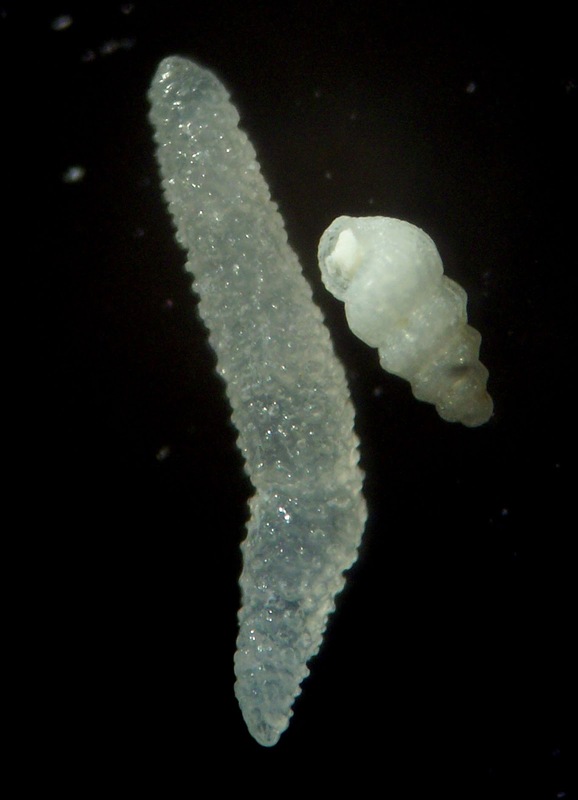 I was reading the a book entitled On Growth and Form (1st edition, 1917) by D'Arcy Wentworth Thompson chapter IX On Concretions, Spicules, and Spicular Skeletons page 413 shows images of Alcyonarian spicules: Siphonogorgia and Anthogorgia. These images look some what similar to the specimens shown in the images on this page. Thanks to Fossils and Other Living Things for this posting and this posting. This specimens were found at Pago Beach on the island of Guam. Images are magnified 40 times under a microscope which should equate to a 4 mm field of view. The first picture has a gastropod in it. 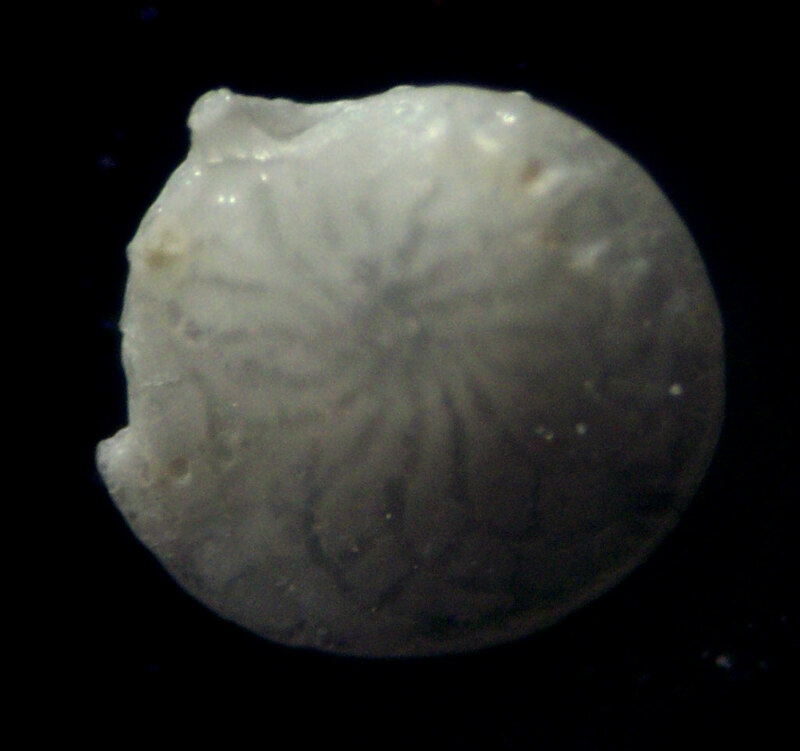 The other specimens might be some sort of foraminifera. Thanks to Pam for obtaining the specimen and Herb for the processed material.